Leading Manufacturer of atmosphere furnaces from Ahmedabad. 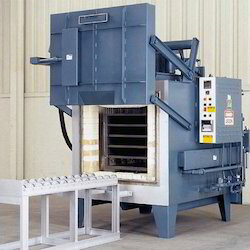 To meet diverse requirements of our esteemed clients all over the nation, we are offering Atmosphere Furnaces. Sturdy in nature and ensure longer functional life, this furnace is manufactured by using superior quality components and leading technology in compliance with the set industry standards. Also, the offered furnace can be availed by our customers at industry prices.